A widespread and common early spring butterfly. 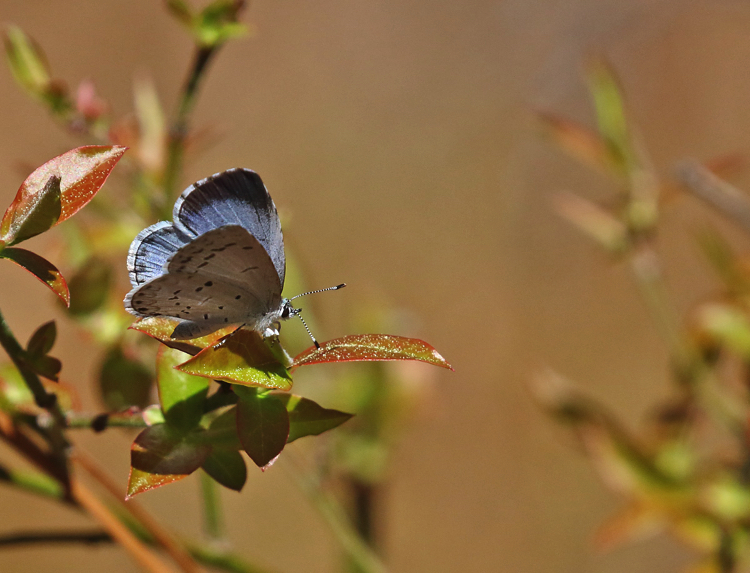 The ventral surface of the wings are usually light gray-blue with a variety of darker, variable markings; some individuals have more pigmentation. The upper surface of both males and females are bright blue with females having wider dark borders.